Item # 297699 Stash Points: 999 (?) This is the number of points you get in The Zumiez Stash for purchasing this item. Stash points are redeemable for exclusive rewards only available to Zumiez Stash members. To redeem your points check out the rewards catalog on thestash.zumiez.com. 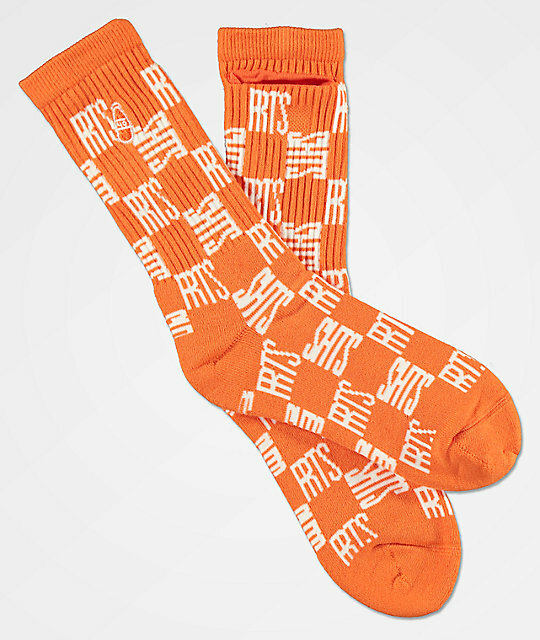 Pour some out for the homies with the Checkerboard Orange and White crew socks from 40's & Shorties. The orange colorway features repeated "RRTS" & "SHTS" checkerboard print with a orange and white embroidered 40oz bottle near the top. These socks are special because they also feature a Stash pocket at the back calf so you can keep anything small enough stashed away in a non-descript location. 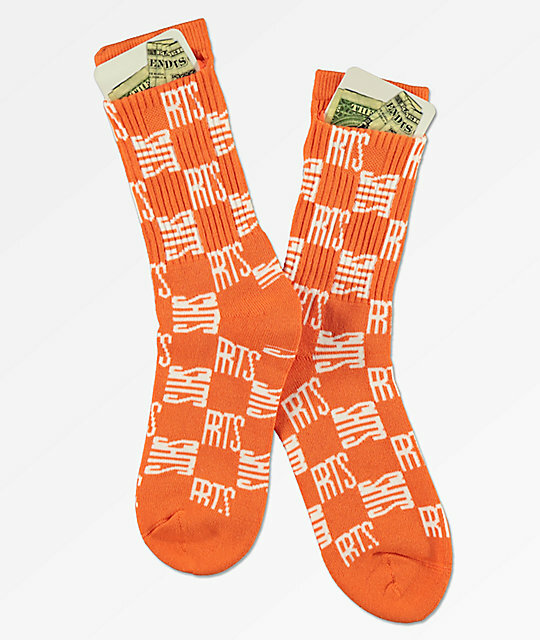 Checkerboard Orange & White Crew Socks from 40s & Shorties.